The Post-2015 Development Agenda was adopted in September 2015 by the United Nations, charting a new course for sustainable development with a very ambitious set of 17 Sustainable Development Goals (SDGs) and 169 targets. 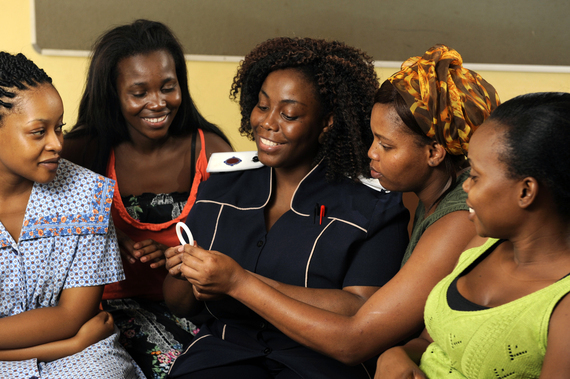 Goal 3: Ensure healthy lives and promote well-being for all at all ages is the overarching goal on health and where the HIV-related targets are placed. 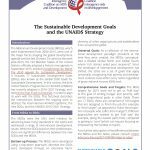 Target 3.3 “By 2030, end the epidemics of AIDS, tuberculosis and malaria and neglected tropical diseases and combat hepatitis, water-borne diseases and other communicable diseases” is the main guiding target for the Canadian and international HIV community for the next 15 years. An overarching theme of the SDGs is that our work can no longer be done in silos but that we must move forward in partnership and collaboration with diverse partners and funders in order to achieve our goals.